If you're Dutch or living in Holland, you'd probably know already that this is going to be the last Queen's day. So to celebrate it I'm planning to party on Queen's night and look at flea markets on the day self. Sooo what am I going to wear? The tradition is to wear something orange. 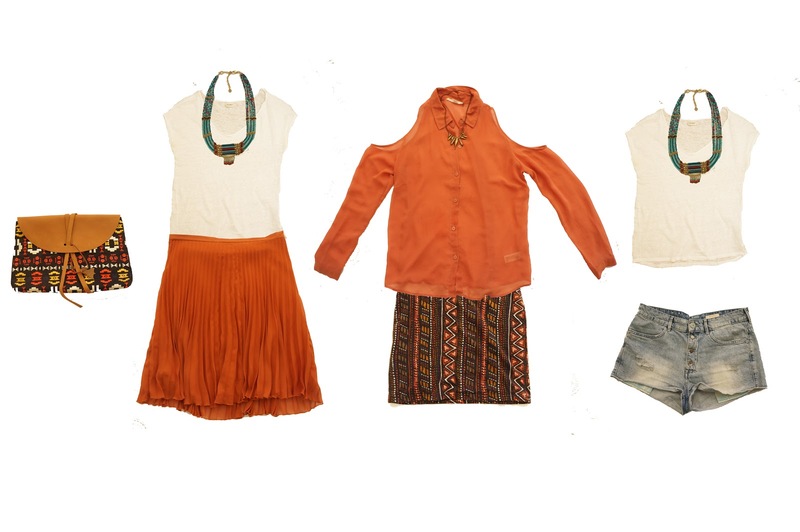 So I pulled all my 'orange' clothes out of my closet and came up with a few outfits.. What do you think? I don't know what to wear yet! You probably see on photos later what I chose. If you're celebrating queens day as well.. Have fun! I'll add it in a caption thanks! Personal | Find treasures or trash?